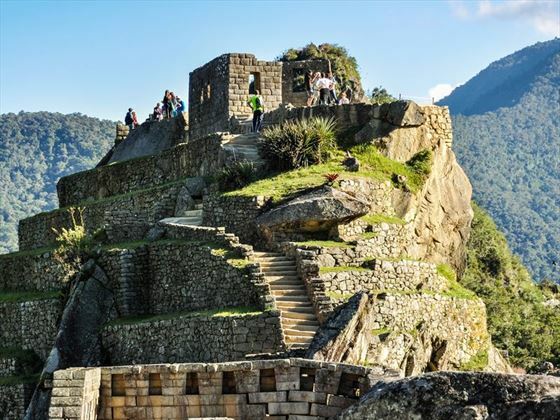 There’s a reason why the Inca Trail is so iconic. 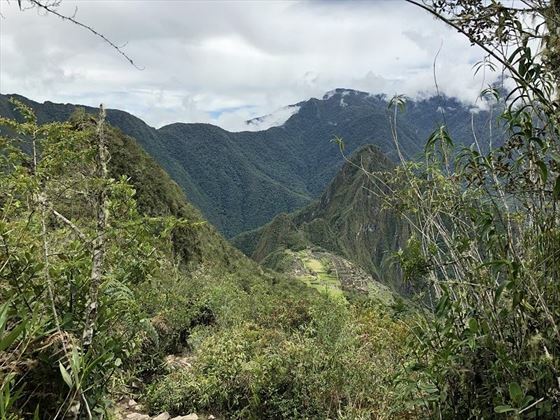 Challenging for your body and revitalising for your mind, this fascinating trek to the equally as enticing ancient city of Machu Picchu is perfect for those seeking a unique adventure. This six-night itinerary includes a four-day trek across this beautiful trail, and includes a few more interesting destinations, too. 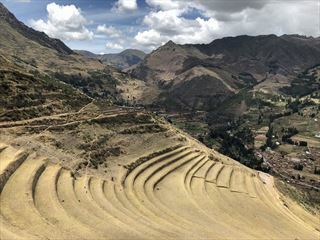 Starting and ending in Cusco, you’ll have the chance to immerse yourself in Peru’s rich history: visiting religious centres, dining at divine Peruvian restaurants, or even exploring the phenomenal Sacred Valley including Ollantaytambo and Pisac. 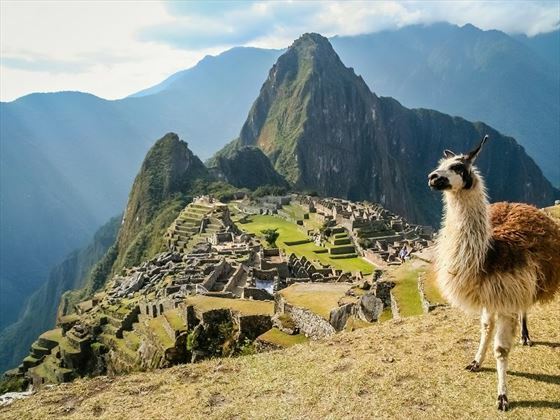 You’ll then enjoy a four-day trek along the Inca Trail, passing through lush jungle, discovering atmospheric cloud forests, visiting humbling Incan ruins and camping near charming towns until reaching jaw-dropping Machu Picchu (VTC). 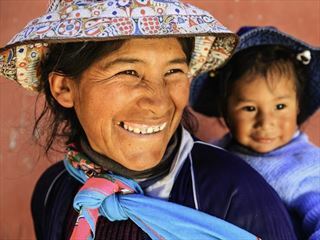 Upon arrival in Cusco, you will transfer to your hotel where you will meet your guide and have a quick briefing session. 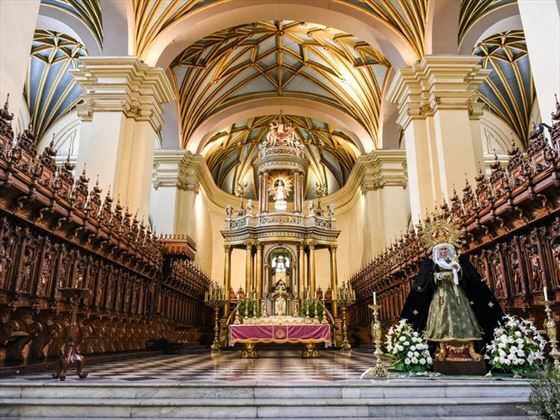 Afterwards, the rest of the day is at your leisure – we’d recommend exploring the Spanish churches and mansions that reside here, discovering the fascinating Inca remains and having a taste of the nightlife and Peruvian restaurants. 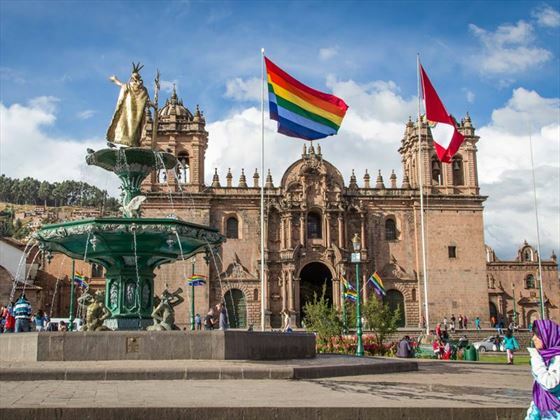 There is an optional city tour, starting at 2pm and taking you to the Koricancha: Temple of the sun, the Cathedral, Sacsayhuaman – home to impressive works in stone, Q’enqo – a religious centre focusing on the earth, and Tambomachay – a centre that worships water. You have two choices today. 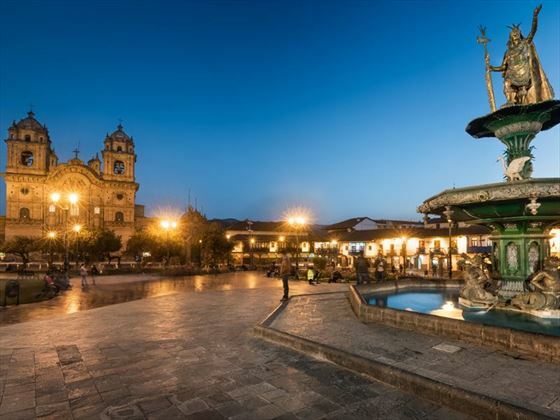 One is to spend your time freely at Cusco, visiting the city and exploring its interesting attractions in your own time. The other is to embark on an optional tour of Sacred Valley. 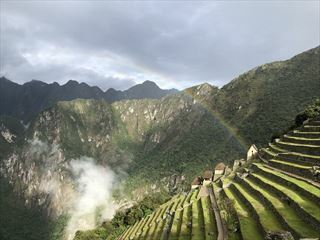 This is a full day activity, which includes exploring the Urubamba Valley, discovering the vibrant Indian market in Pisac, visiting Ollantaytambo – the oldest continuously occupied town on the American continent, and joining the Chinchero market – a place believed to be the mythical birthplace of the rainbow. The day begins with a pick up from the Regocijo Plaza at 4-4.30am, before travelling by bus to Piskacucho – your starting point for your 6-mile hike. Your bus ride there includes a breakfast stop in Ollantaytambo at around 6.30-7am. Please note that you will need to show your entrance tickets and passports at the trail’s first control point near Piskacucho. After getting everything sorted, you will begin your hike. The trail first crosses the Vilcanota River, continuing on flat Incan terrain to get you warmed up and ready for the trickier days ahead. 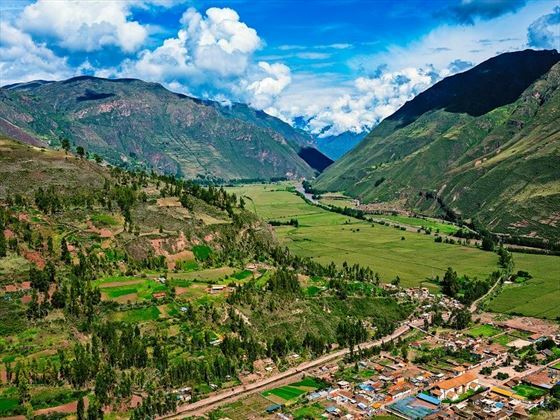 The trail offers amazing views of Huillca Raccay (an Incan Fortress), the site of Llactapata, the Andes, the Urubambu mountain range and the soaring snow-capped peak of W’akay Willca. You’ll soon arrive at your first campsite (Ayapata Camp), which is situated an hour and a half up the quaint village of Wayllabamba. Depending on the month, the temperatures at night can drop to 5 degrees. Today involves a challenging 6.5 mile hike mostly uphill – gaining 4,100ft of elevation. You’ll find that the trail today is quite steep, following the narrow Llullucha gorge and hiking through lush forest home to beautiful birdlife and plants. 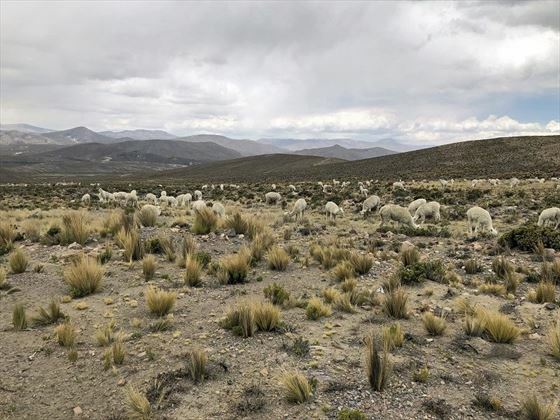 Soon, you’ll reach the stunning open meadows of Llulluchapampa, offering panoramic views of the Andean peaks, before ascending onto the highest pass of today’s hike – Warmiwanusqa. This part of the hike takes between two and two and a half hours, but you’ll be treated to amazing views of the glacier-adorned Wiyaney peaks and the luscious Pacaymayo gorge when you reach the top. From here, you’ll have a break to watch the porters – some of which will be dressed in traditional red ponchos and chullos – carry their loads and continue on so that they can arrive and set up the camp before you get there. Next up is a steep descent, following a newly completed trail with sections of staircases before reaching the picturesque meadows of Chaquicocha. This is where your campsite will be this evening – we’d suggest relaxing your legs by the campfire tonight. Your 5.5-mile hike today starts with a steep uphill walk to the Runkurakay watchtower, before continuing up the Inca stairs past a small lake and on to the route’s second high pass at 12,631ft. On a clear day, this viewpoint will grace you with incredible views of the Pumasillo Mountains and the dramatic gorges of the eastern Andes. 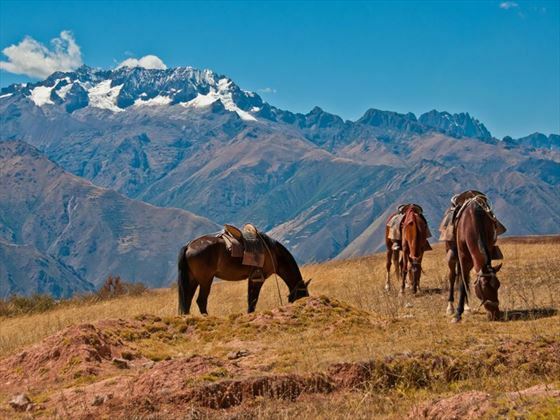 Your final campsite is at Phuyupatamarca, and is easily the most spectacular thanks to the jaw-dropping 360-degree views of the Urubamba, the Aobamba River Valleys, and Mount Salcantay – which has the highest summit in the Vilcabamba range. The last day of your trek begins at 4am, leading you into Inti Punku or Sun Gate just before the sun rises over Machu Picchu. 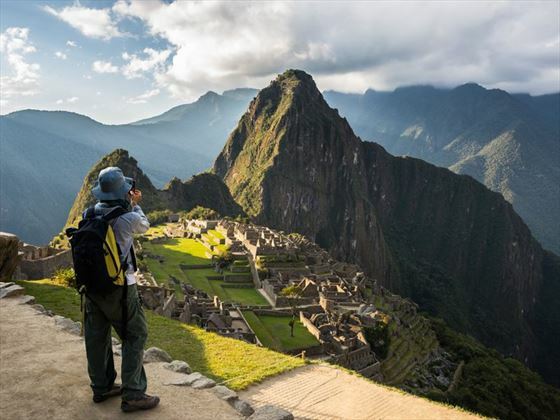 You’ll have some time to take photos of this gorgeous spectacle, before completing the final steps of the Inca Trail down to Machu Picchu itself. You’ll then enjoy a two-hour guided tour of the ancient city, before being given some free time to explore by yourself. There is the option to embark on a short walk to Wayna Picchu. Meaning ‘young mountain’, this peak sits opposite Machu Picchu, offering amazing views of the ruins. The trek is quite steep, but the walk isn’t too tough to the top – it takes around 45 minutes to an hour long. After your morning at Machu Picchu, you will meet your guide in Aguas Calientes for lunch, before hopping on the train to Ollantaytambo and then a bus transfer back to Cusco. Today marks the end of your trip. After breakfast you will enjoy a day at leisure before your return flight home via Lima. The lost Incan city of Machu Picchu is one of the world’s must-see sights, and is the highlight of many travellers’ trips to Peru. 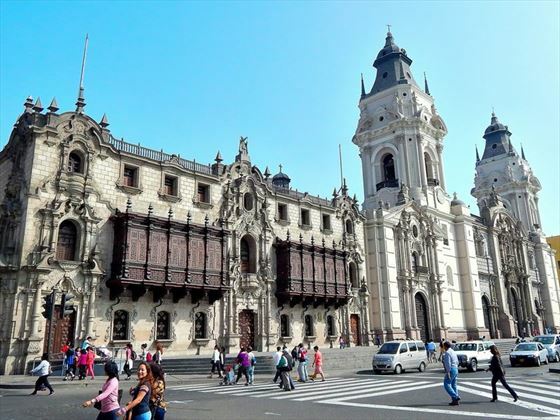 Discover a land of rich culture, unforgettable landscapes and magnificent, ancient architecture on this glorious 4-day tour which begins in Cusco and ends in Lima. 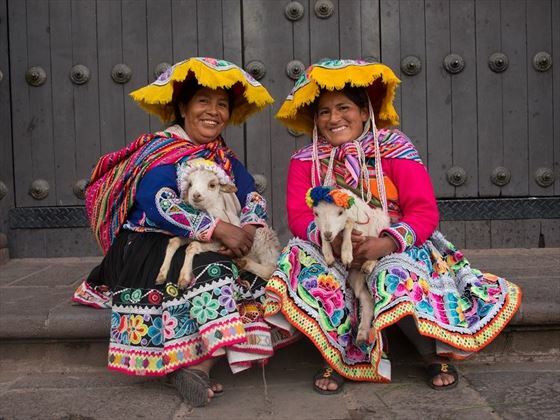 An incredibly diverse and charming country, Peru is a strikingly beautiful land steeped in rich Incan heritage and ancient culture; ideal for those in search of an explorative and fascinating adventure, this wonderful 6-night independent tour may be the perfect choice for you.